Fireplaces are the forgotten hearth and center of your home. Back in a simpler time, when the work was done for the day, dinner was eaten, dishes were done, and a couple of precious hours still remained before bed, families would gather around the fireplace. Women would knit. Kids would whittle. Men would smoke a pipe and ponder the happenings of the day. The fire would crackle and pop, the smell of wood soothing and calming while the flames danced like snowflakes — never, ever the same — until you were lulled to sleep in a state of complete solace. Fast forward to 2019. Most new construction homes do not have a fireplace — and if they do, it’s an electric fireplace that is operated by simply flipping a switch. If you’re in a metropolitan area, this could be because wood-burning fireplaces are banned because of the potential fire hazards. Fireplaces in older homes frequently sit dormant — unused because the hauling of firewood and ashes can be a lot of work compared to central heating. Some people may want to install a fireplace despite the extra work, but they are unsure of the logistics of it all, so the idea is abandoned. Endeavor Exteriors, the best roofing contractor in the greater Denver metro area, understands the value of a fireplace — and more importantly, the value of bringing the family together. In this blog post, we’ll go over the benefits of adding a fireplace to your home and the reasons you should add one, as well as how a fireplace affects your roof. Contact us today for all your residential roofing, commercial roofing, and multifamily roofing service needs! Fireplaces are not as expensive as you may think. We all envision a huge fireplace in a swank home that takes up an entire wall with a mantle as tall as Mickey Mantle. However, most fireplaces are not that big. Fireplaces come in all sizes and all materials, which can accommodate any budget. Fireplaces increase the value of your home. Because of the memories and the feelings fireplaces evoke, fireplaces are huge selling points for buyers. Wood fireplaces are the most popular, however, pellet stoves rank a close second due to their ease of use. Fireplaces can decrease heating costs. If you’ve ever been around a roaring fire, you know they put out a lot of heat. Adding a fireplace in a central location in your home has the possibility to heat almost your entire home, thereby decreasing heating costs. Fireplaces can be the center of the home. Most people love the idea of leaving work on a dark, cold winter night, hurrying home, grabbing a cat and a blanket, and starting the fire. The woodsy scent immediately calms you, and the hardships of your day melt in the flames. Lowers heating costs. As Endeavor Exteriors in Denver mentioned above, fireplaces can decrease heating costs. Wood is usually cheaper than gas or electricity you are purchasing from the utility company and once a fire is roaring, the temperature in your home will rise and stay there with no added heat needed for quite some time. You’ll also be less susceptible to rising energy costs from your utility company. Environmentally-friendly energy. Wood is a renewable resource as opposed to fossil fuels, which are not, making wood burning fireplaces eco-friendly. You are leaving a zero carbon footprint, and with modern energy-efficient fireplaces, you can even have the heat distributed via ductwork in some systems. Heat when the power is out. When you have a fireplace, you don’t have to rely on an outside company when the heat goes out, which can be frequent in powerful winter storms. Instead of staying up all night because it was too cold to go to sleep, you’ll sleep on a coach or your sleeping bag in front of the fire, toasty warm. You can also cook over this fire when the power does go out. Sets the mood. Whether you’re a hopeless romantic who loves to sip wine in front of the fireplace with your significant other, or you just love the inner glow a fireplace gives you, a fireplace has the ability to instantly soothe our soul — a rare find these days. Installing a fireplace is not as much of a hassle as you might think. Similar to installing a roof, a fireplace installation is relatively quick and easy. For the roof, the fireplace will just need a hole cut for the chimney and/or metal venting if you’re electing to install an electric fireplace. Endeavor Exteriors recommends calling in a professional fireplace installer in the Denver area, especially when it comes to the roofing aspect of your fireplace install. While cutting a hole through your roof is a relatively simple project, having the venting set up correctly and the proper seals and flashing around your chimney are vital to the health of your roof. Chimney fires do occur, so proper fireplace installation is key from the get-go to ward off any potential problems. Endeavor Exteriors wants to emphasize the importance of fireplace and chimney maintenance for the overall health of your roof. Depending on the type of material you have used for your chimney (probably stone masonry or brick for wood burning fireplaces), these stones can collapse onto your roof without proper maintenance, causing serious roof damage. An improperly sealed chimney can lead to water damage from leaks, which can cause major damage inside your home. We recommend scheduling annual chimney inspections at the same time as you schedule your annual roof inspection, especially if it’s been a bad storm year to maintain the overall quality, care, and roof maintenance of your home. One last caveat: as we discussed in a previous blog post, critters can be a problem in your home, and chimneys (especially unused chimneys) if not properly capped, can be a perfect home for critters who then have access to your home and can cause damage to your roof. Periodic roof inspections are key to warding off minor problems that are easy fixes before they morph into roof replacement. Endeavor Exteriors in Denver believes in the value of having a central location in your home where the family can come together for game nights, watch a good movie, unwind after the day, or simply do homework and read together. Fireplaces are natural central attractions that yield heat, create atmosphere, and are soothing to watch and be around. 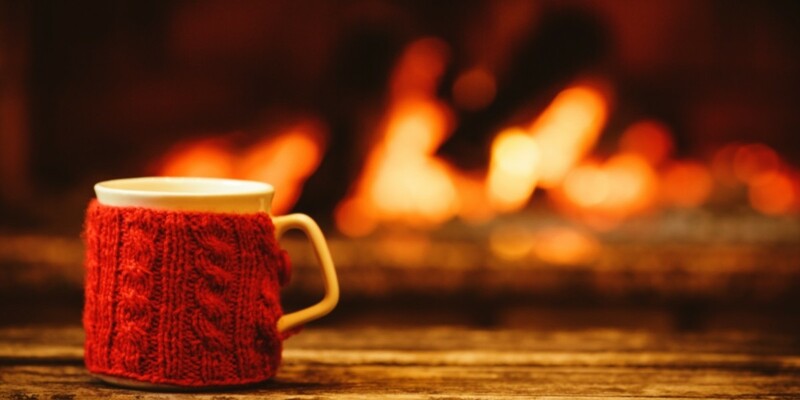 The memories created on long winter nights make installing a fireplace a serious consideration for homeowners. Whether you have a fireplace or not, Endeavor Exteriors can help with all of your roofing service needs. We’re the best roofing company in the Denver area, specializing in residential roofing, commercial roofing, and multi-family roofing. We do roof installations, roof maintenance, and house roof design. We offer roof inspections, so you can rest safe at night knowing your roof is fortified against whatever the winds may bring. Endeavor Exteriors not only can take care of your roofing needs, but we also help with exterior house design. We offer siding installation and replacements, as well as window and door replacement. Top quality windows and doors not only add aesthetic value to the home, but also are key in energy efficiency as they stop heat from your fireplace from leaving the home and keep heat in the summer out. To better serve our customers, we offer financing options, as well as top-quality warranty and guarantees on all of our roofing services and roofing products. We utilize the best in roofing technology, so you can see the roof on your home before you even choose us. We offer a free 3D design app, giving you control over your entire roofing project from day one. Customer satisfaction is our top priority, and we want to hear from you how your roofing experience was from start to finish. Ideas for improvement are always welcome as we are constantly looking to add value to the customer at all places in their roofing experience. We don’t collect final payment for your roofing installation, house siding installation, or window replacement services until you are satisfied with the completed job. Endeavor Exteriors works for you. As the best roofing contractor in the Denver metro area, we bring the future of roofing services to you. Contact us today for a free exterior design consultation and estimate!